Financing your next new Honda or pre-owned vehicle should not be a time consuming hassle! Let our online auto finance application reduce the amount of time you need to spend on auto loan and Honda lease hunting in Salem. Sitting around waiting on a finance approval at a dealership is stressful, so get your car loan approved before arriving at our greater Salem Honda dealership.Get pre-approved by using our online Finance Application. Rockingham Honda provides the lowest available rate on a car loan in the Salem, NH area, and high approval rates for auto loans. You can qualify for an auto loan or Honda lease for your new Honda Accord, Civic, CR-V, Odyssey, or pre-owned vehicle at an affordable rate near Boston, Nashua, and Manchester, regardless of what your past or current credit situation is. Self-employed or commissioned employees may be classified as high risk and our auto financing services can help most people who are classified as such. Do you currently have a leased vehicle that is nearing the end of term? We are currently accepting all lease trade in vehicles at Rockingham Honda! Have you had your leased vehicle inspected yet? Make an appointment today at Rockingham Honda by using our online lease turn-in application to be contacted by a Honda Product Specialist. 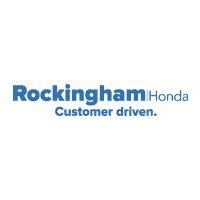 Give the Rockingham Honda finance team a call at 603-484-8134 or visit us at 402 South Broadway, Salem, NH 03079. We look forward to serving your New Hampshire auto financing needs.